Munich - First place in the mid-season table duly secured with a game to spare, FC Bayern München have swapped chilly Germany for warmer climes as they seek to round out an unforgettable year by adding a world title to their domestic and European ones. The 3-1 victory over Hamburger SV on the penultimate matchday made it 16 Bundesliga wins out of 16 on home turf in 2013 for Bayern and stretched their record overall unbeaten run in the league to an incredible 41 games. Seven points clear of closest pursuers Bayer Leverkusen, the Munich Reds have been excused duty on the home front this weekend, as they take a tilt instead at the FIFA Club World Cup in Morocco. “It's maybe not a tournament people talk about very much. But once you're there and it's underway, you realise what's at stake - namely, an awful lot of prestige,” the German record champions' coach Pep Guardiola explained. His charges clearly take the same view, dispatching Chinese and AFC Champions League title holders Guangzhou Evergrande FC 3-0 in Agadir on Tuesday evening to book a final date in Marrakech on Saturday (21 December) with Morocco's very own Raja Casablanca, surprise 3-1 victors over Brazilian Copa Libertadores holders Atletico Mineiro. Out on the pitch, there is little dispute that the men from the Bavarian capital are the current top dogs and Rummenigge has been at pains to stress the role played in that process by the two men to occupy the hot seat in 2013. 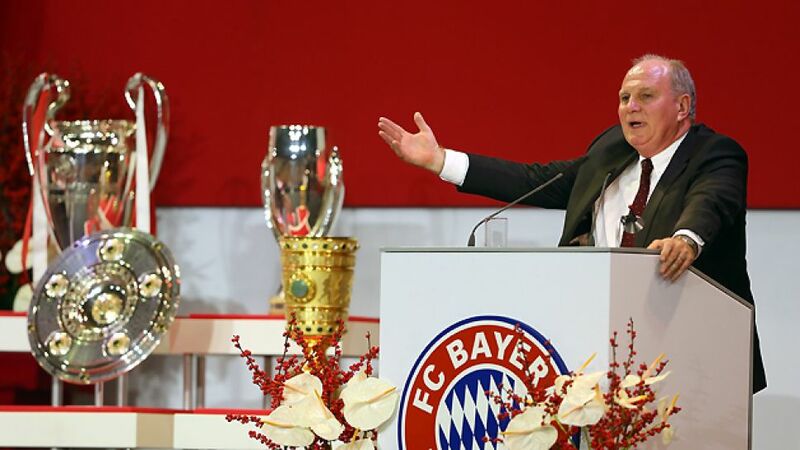 Former head coach Jupp Heynckes set a new benchmark in guiding FC Bayern to that unprecedented treble success last season, leaving his successor Guardiola with quite an act to follow. The Catalan master tactician is rising to the task with aplomb and thus far, Bayern have been firing on all cylinders across the board. And when league action recommences in January 2014, they might well be pursuing the defence of their three titles as club world champions for good measure.